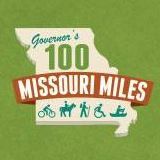 Please join us for a ride with Missouri legislators and officials across the Pat Jones Pedestrian/Bicycle Lane across the Missouri River to the Katy Trail. The ride this will leave from the Governor's Garden, just one block SE of the Missouri State Capitol in Jefferson City and go across the new Pat Jones Pedestrian/Bicycle Lane across the Missouri River to the North Jefferson Katy Trailhead. 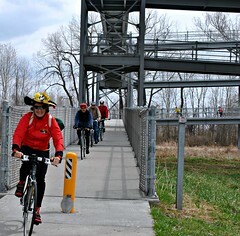 If you are bringing your own bicycle, you are welcome to join us at 1:30pm April 30th with your bicycle and helmet. Legislators & staff: We appreciate a call or email 816-695-6736 or director@mobikefed.org, to let us know you're coming--it helps with planning--but it's not required. General public: Please register online here. Once arriving at the North Jefferson Trailhead (3 miles), those who wish to continue their ride on the Katy Trail are invited to do so--you can ride long or short, according to your schedule. Please take a moment to email or call your own state legislators and invite them to the ride. You can look up their contact info here. The ride is free, but if you're planning to come, please register for the Legislators Ride (and any other Capitol Day events you might be attending) so we'll have an idea of how many are planning to be there. 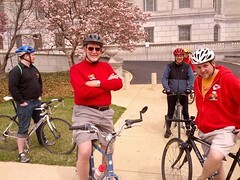 Chris Gerli of City Cycling Tours (Forest Park, St. Louis) has been kind enough to provide free bicycles for legislators & staff to ride. 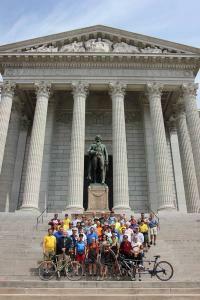 This event is presented by Missouri State Parks, MoDOT, and the Missouri Bicycle & Pedestrian Federation. » Next story: Blue Ribbon Commission on Transportation releases report--what does it say about bike/ped?